I love repurposing items in the home, just like Samantha from Simply Organized did. She took the crib springs that her 3 sweet kiddos all slept on at one time, and decided to repurpose them for her office. What a great way to keep a sentimental item in your home! 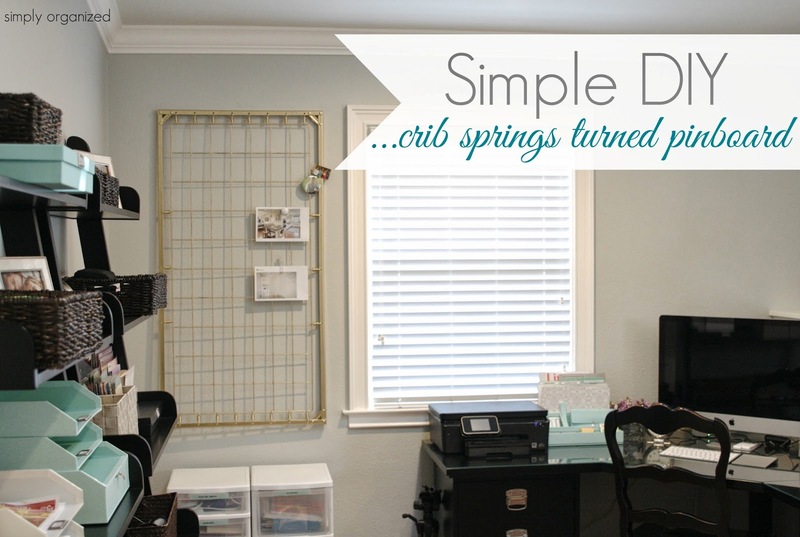 Samantha shares a great step by step tutorial of how she painted and hung the springs on the wall. Click HERE to view her post. Do you have a sentimental item that you have repurposed in your home?